Put together Totoro in his Acorn. This three-dimensional puzzle combines various shaped puzzle pieces. After completion, you can break down and play again. When assembled measures about 3 2/5-inches tall x 2 1/3-inches wide x 1 3/4-inches long. 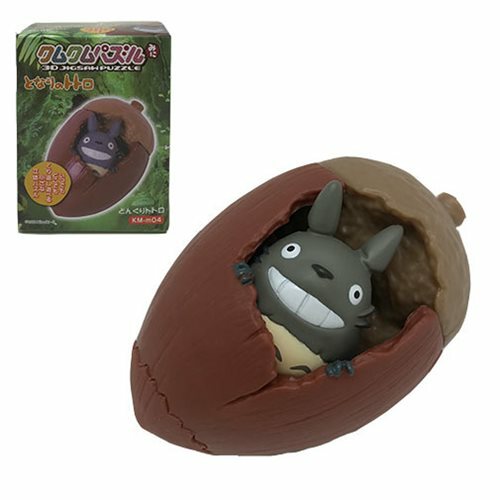 The My Neighbor Totoro Totoro and Acorn Mini 3D Puzzle makes a great gift for Studio Ghibli fans. The puzzle has 14 pieces. Ages 15 and up.